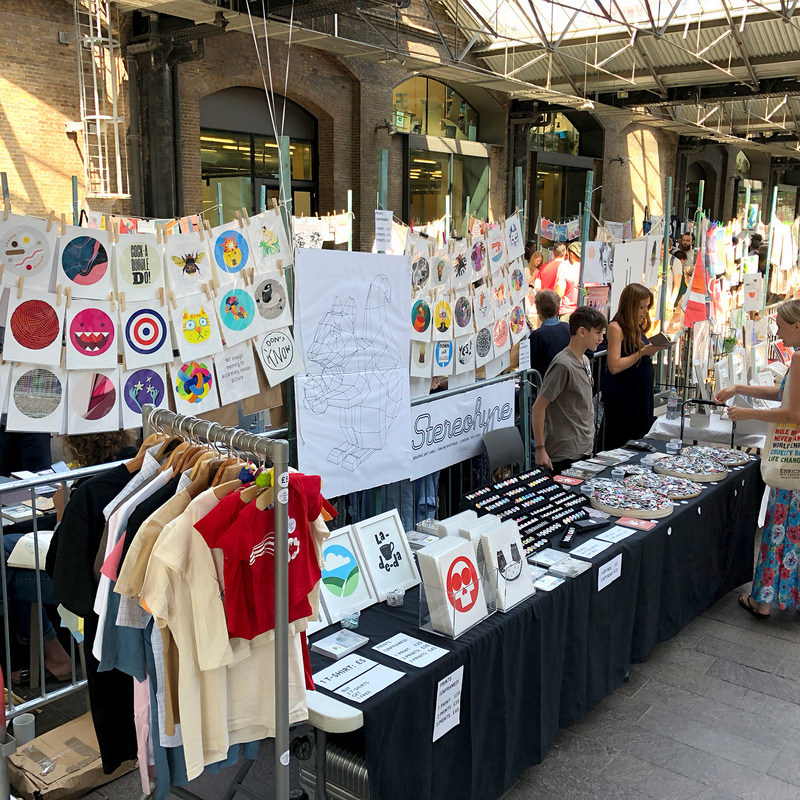 The Illustrators' Summer Fair 2018 was another great day with real-life customer, our squirrel and the now seemingly obligatory helium balloons! 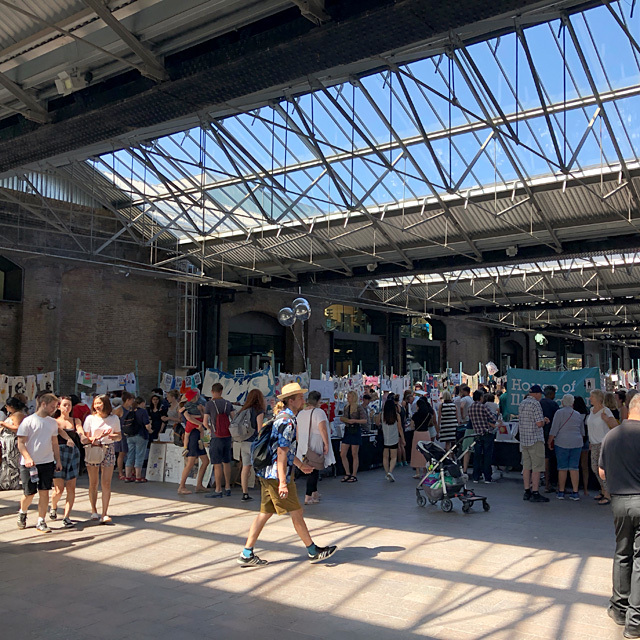 ___ We already took part in the Illustrators' Christmas Fairs in 2017 and 2016 and enjoyed this summer day – without frozen feet – a lot. 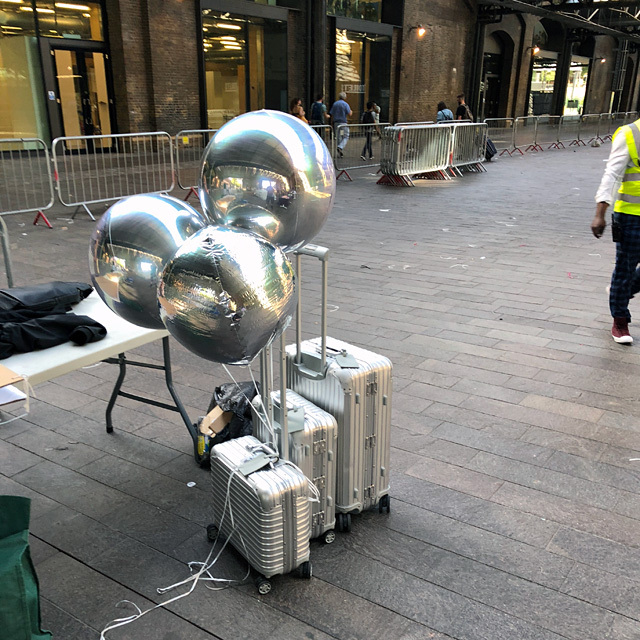 ___ It is always an enormous pleasure to meet – often for the first time – collaborators, supporters and customers at these rare occasions. 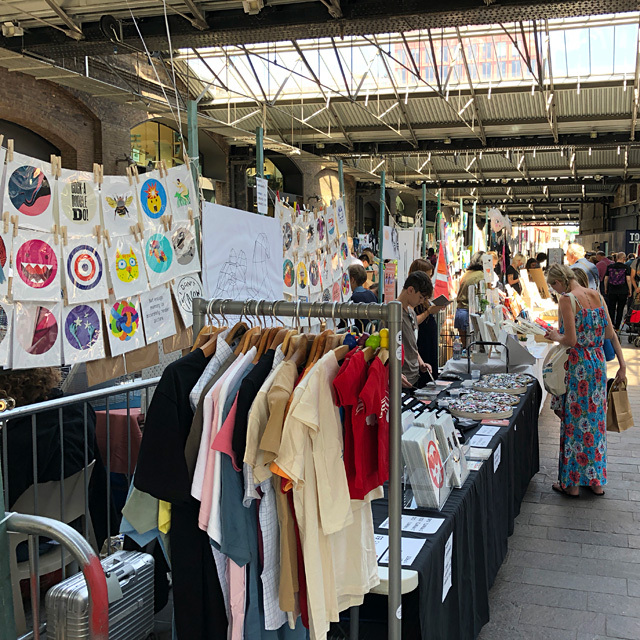 So thank you to all who shared and liked our online announcements and those of you who had a chance to actually pop by to say hi and buy a few gems! 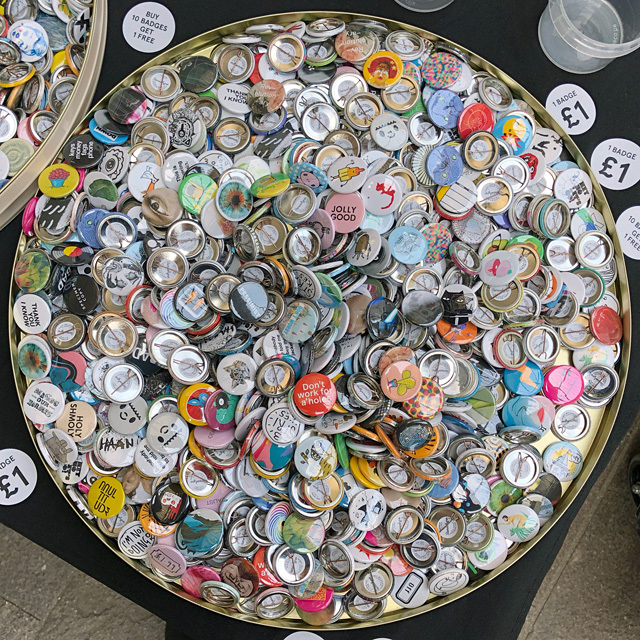 Badges, T-shirts and prints were available – many of them were on offer for extra special non-online prices. 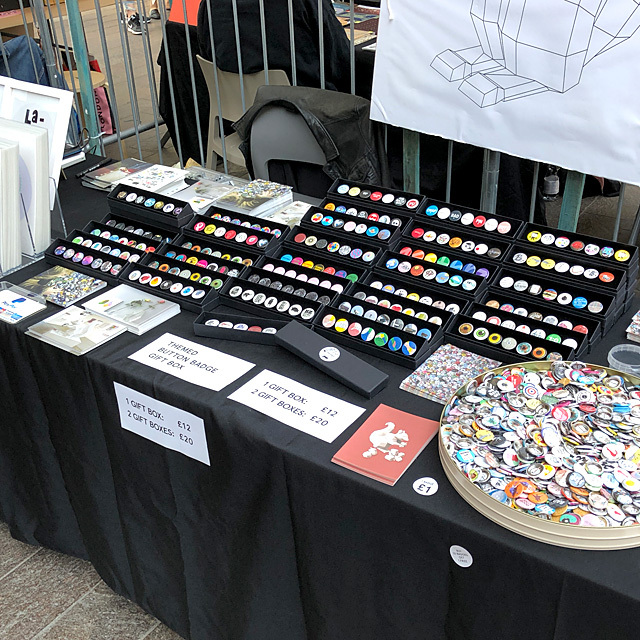 ___ We also brought along plenty of FL@33-designed items again as part of Stereohype's range of almost 2,000 graphic art products. 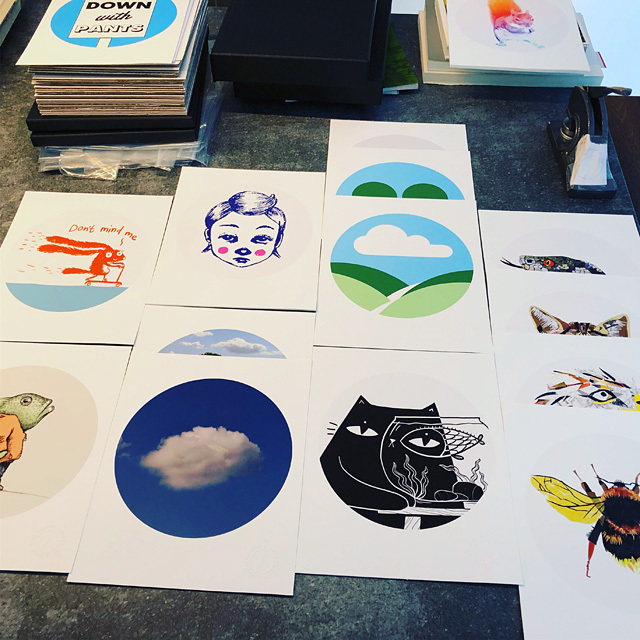 Fine Art prints and button badges created for Stereohype by over 400 carefully selected talents from around the world all form part of Stereohype's FL@33-curated graphic art collection. 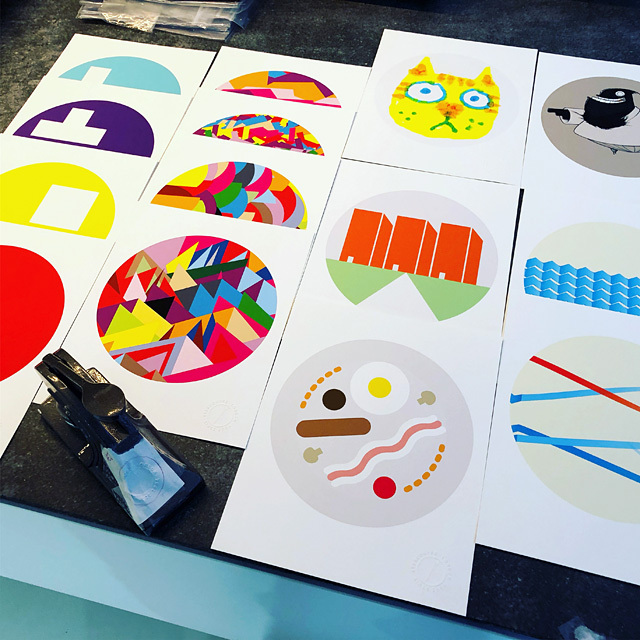 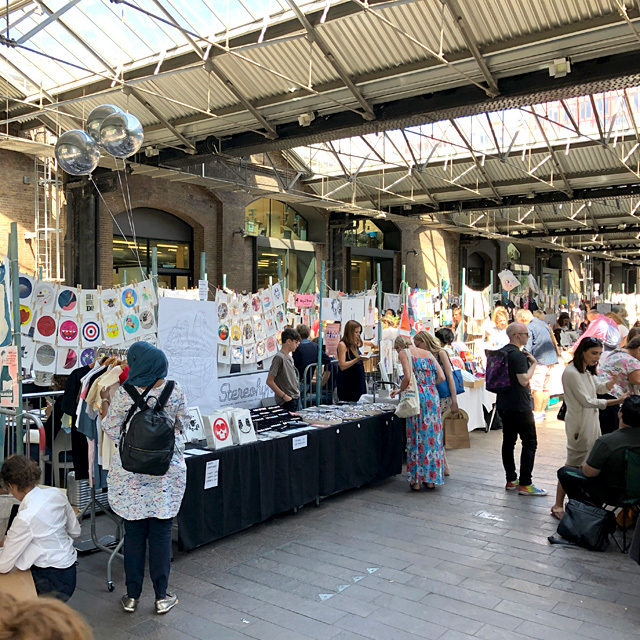 ___ Organised by the House of Illustration the annual fair offers a wide range of beautiful work by over 100 contemporary illustrators and collectives. 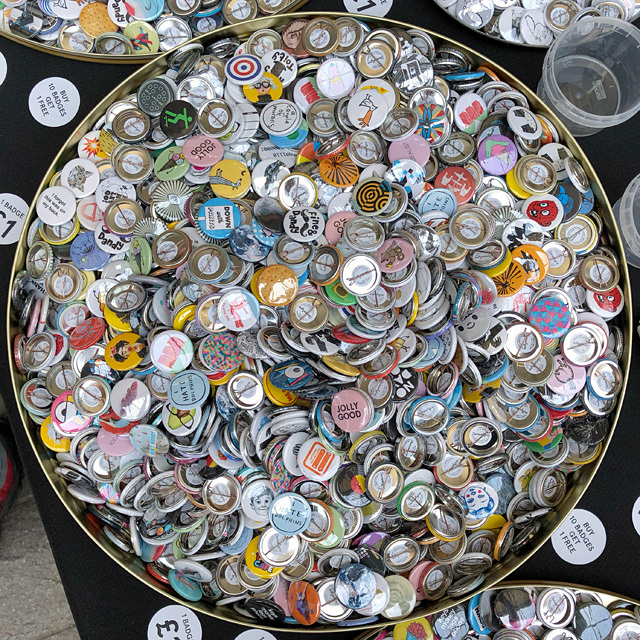 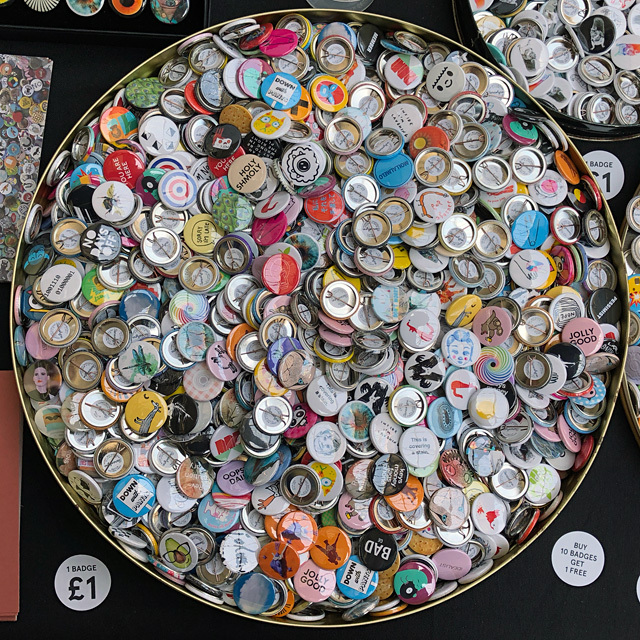 ___ Visitors could browse Stereohype's over 1350-strong button badge collection that was once again spread out at one side of the stand. 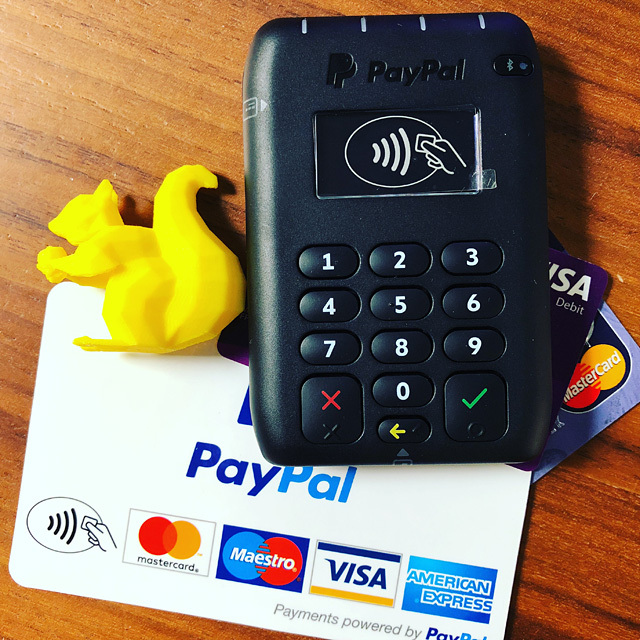 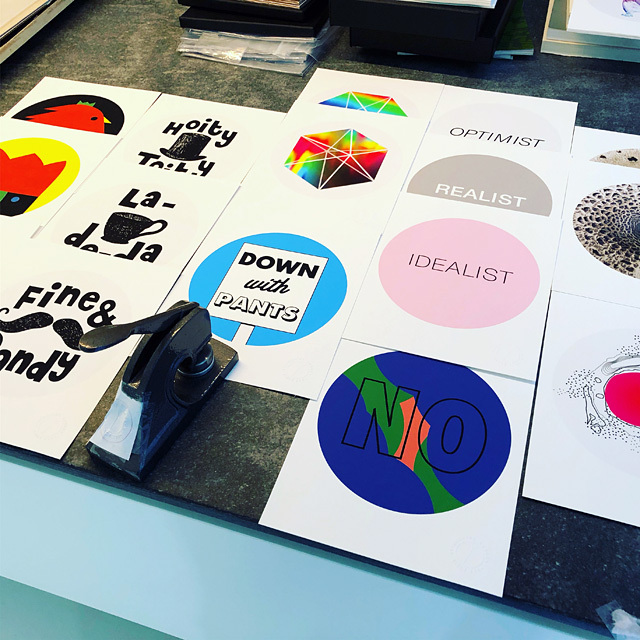 A very enjoyable sight (and sound) for all involved considering that stereohype.com is of course an online boutique most of the time with virtual offerings that only become physical to customers once the product reaches their letterboxes. 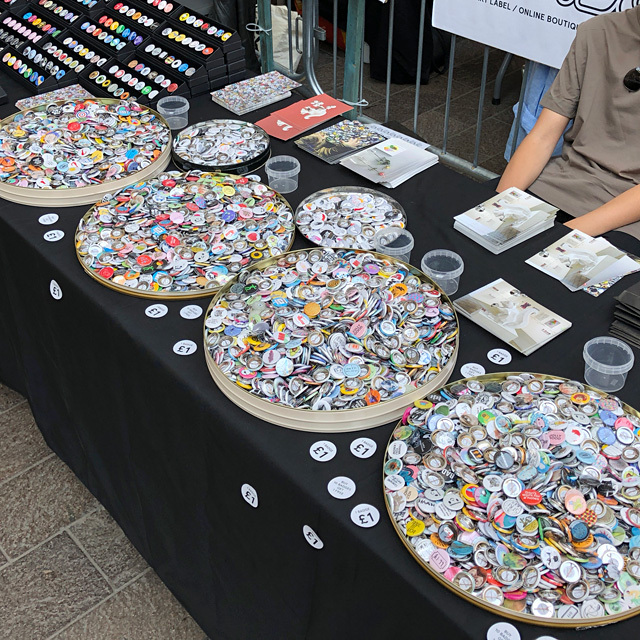 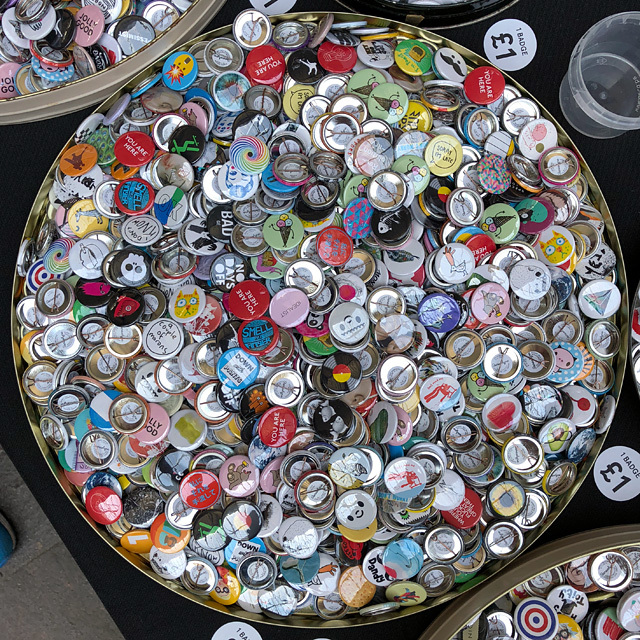 ___ Also available at the stand were newly released Button Badge Motif Prints by FL@33 and many others that were added to this new and at the time already 248-strong print edition. 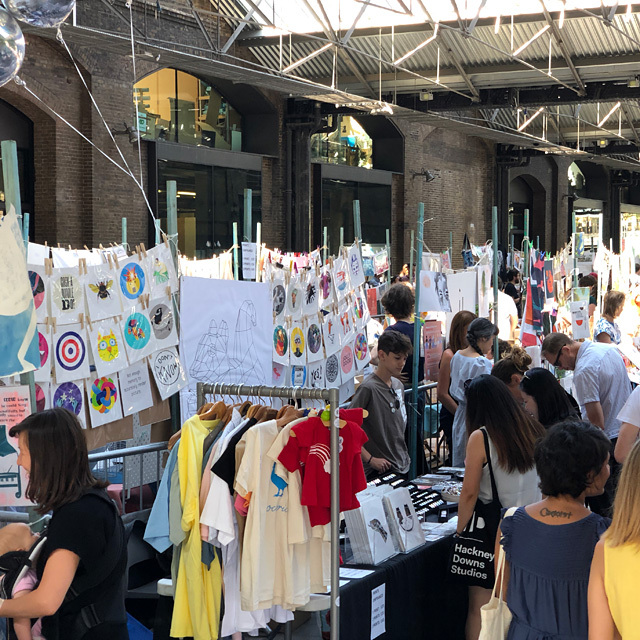 The picture of Stereohype and FL@33 co-founder Tomi Vollauschek (in blue polo shirt) was taken by House of Illustration buyer and Stereohype contributor Holly T Burrows who kindly allowed us to post it online. 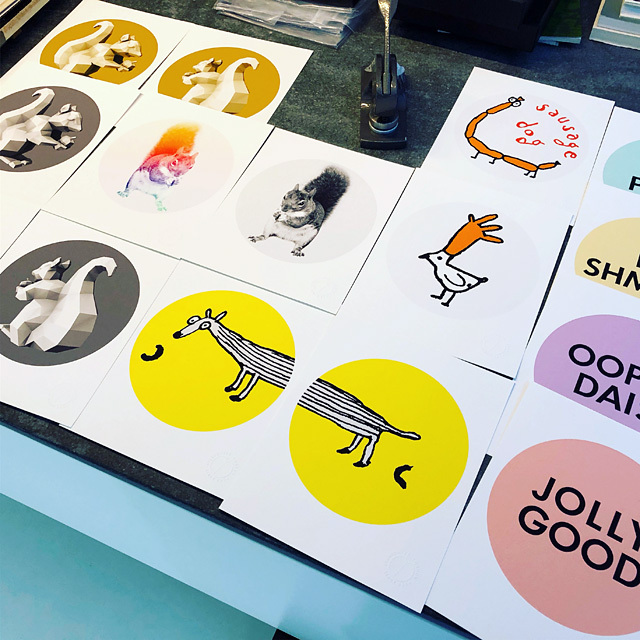 All others are our own snapshots.